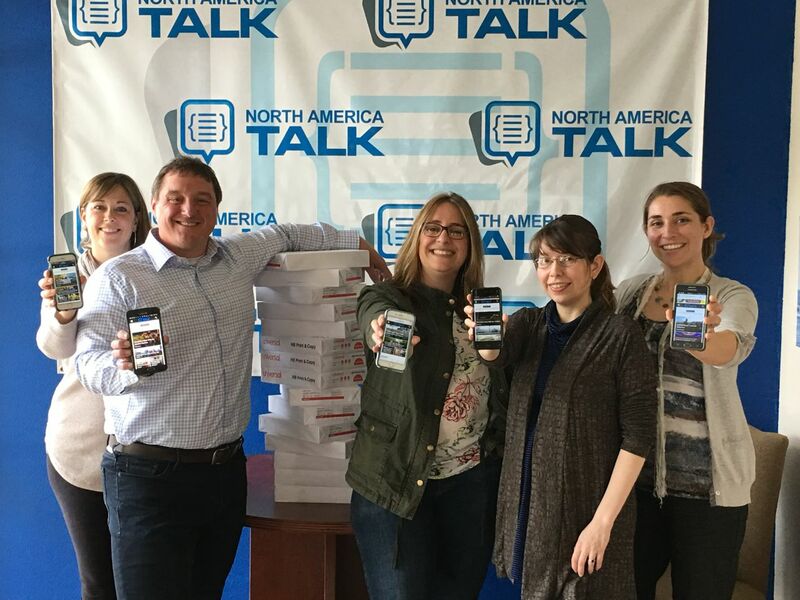 With a mobile-first philosophy, the NorthAmericaTalk team is the fastest growing media company in Western Washington. 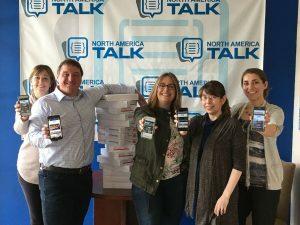 When the Thurston Economic Development Council announced the finalists for the upcoming Business Recognition Awards, cheers went around the NorthAmericaTalk Olympia office. “It’s wonderful to be recognized as a notable small business in our community,” says CEO Dan Jones. The Thurston EDC will announce the winners at an awards gala and investor dinner on May 19, 2017 at the Olympia Country and Golf Club. Jones and other members of the NorthAmericaTalk team will be in attendance for the 32nd annual award ceremony which honors the achievements of local businesses and non-profits in four distinct categories: New Business, Small Business, Corporate Employer and Non-Profit Organization. New Business of the Year Finalists include Broth Bar by Salt, Fire & Time, 222 Marketplace LLC, Chelsea Farms Oyster Bar, The Mouse Trap and Blind Pig Spirits. Finalists for Small Business of the Year are PCI Pest Control, NorthAmericaTalk, Inc. and Zoe Juice Bar. The July 2016 issue of Thurston EDC’s The Voice magazine featured the NorthAmericaTalk team. Non-Profit of the Year Finalists include Big Brothers Big Sisters of Southwest Washington, Capital Lakefair and Pacific Mountain Workforce Development Council. 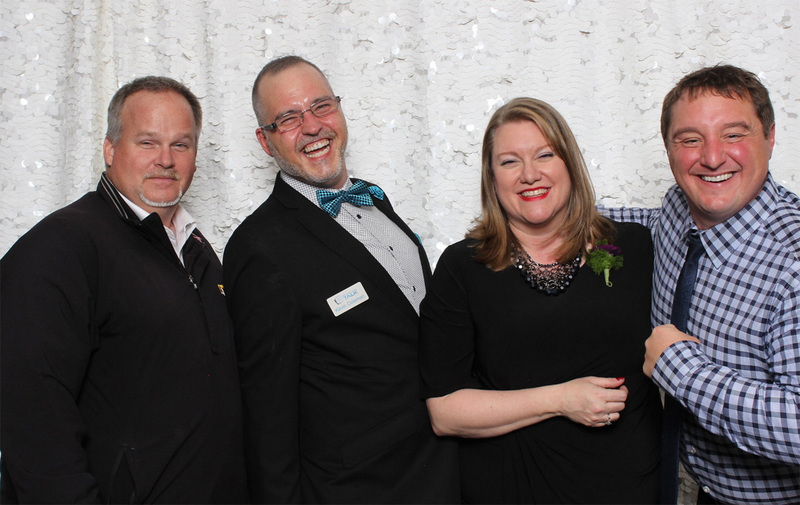 Corporate Employer of the Year finalists are Olympia Federal Savings, Atlas Dental Group and Ziemek Dental Laboratory, Inc.
NorthAmericaTalk builds and operates community social networks throughout Western Washington. Currently, community social networks are active in Thurston, Pierce, Whatcom, Grays Harbor, and Lewis counties, with expansion plans underway into Eastern Washington and beyond the state. NorthAmericaTalk CEO Dan Jones (right) and VP of Sales Martin McElliott (left) celebrate an award with WhatcomTalk teammates Kevin Coleman (in bow tie) and Stacee Sledge. 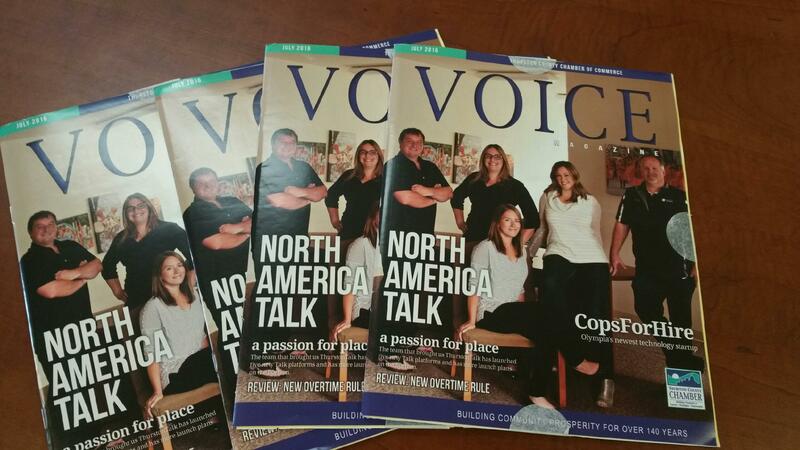 NorthAmericaTalk is the fastest growing media company in Western Washington. “Marketers choose to work with us because we help companies reach their target market, grow their brand, and measure results,” says Jones. Thank you, Thurston EDC, for recognizing our contributions to the local economy.